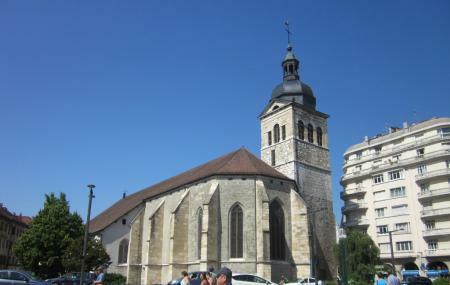 St. Maurice is the oldest church of Annecy. The church was built first as a chapel and is recognized as a national monument since 1957. The church beautifully stands out as an attraction dressed in gothic style architecture. A visit to the church would make for some peaceful and relaxing time. There is no entry fee to the church. The timings of the church are not available. How popular is Church Of St. Maurice? People normally club together Notre - Dame De Liesse and Annecy Cathedral while planning their visit to Church Of St. Maurice.